Hometown: Born in Mexico and moved to Los Angeles when I was 13. Lived in San Diego: Moved to Sunny SD in 2004. Hobbies: I love going hiking, going to the beach. I love to spend time with my hubby and my dog (she’s a 9 year old pekingese) traveling and eating sushi. Something that people would be surprised to know about you: I’m scared of heights but I love going to six flags. If I can’t beat fear, I just do it scared. 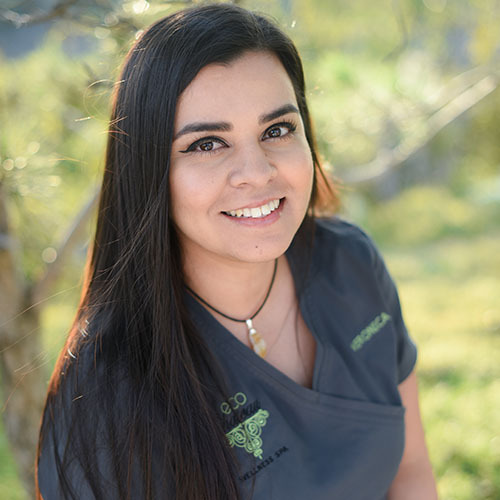 Special Skills: It is my goal to help others love their skin by providing them with the information, tools and treatments they need to feel healthier and beautiful AND I put people to sleep during a facial ?